Tyneshia Haynes has a suspended license, and it's meant she's had to change jobs and how she gets around town. Tyneshia Haynes has a suspended license. That means she’s had to make some changes to how she gets around. It started with a traffic ticket in Michigan. She couldn’t afford to pay it, and eventually she lost her license. That suspension followed her to Ohio, and the amount she owed just kept growing. She’s chipped away at the fee, but still owes about $2,000 dollars. Haynes, who lives in Southeast Columbus, says getting used to the bus has been difficult on its own. But losing her license forced her to make even bigger sacrifices, like her job. That change cut her pay check in half, making it only harder to dig her way out. 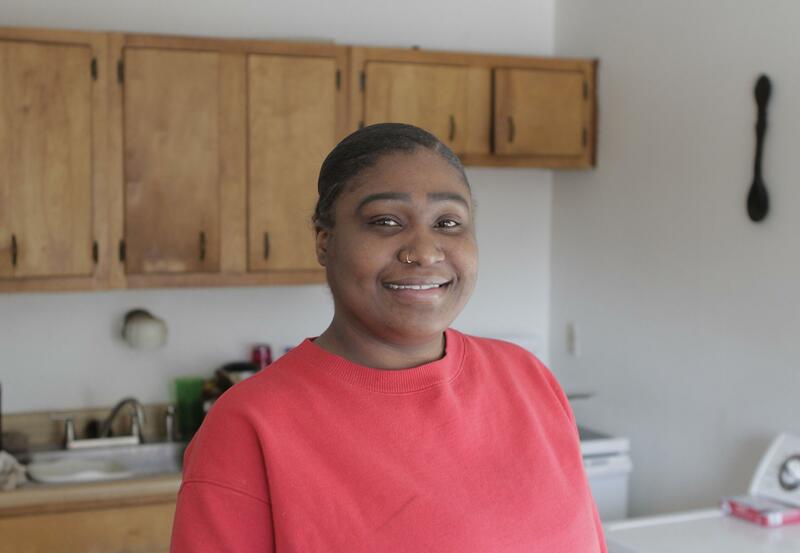 A suspended driver’s license can be a catch-22 for low-income Ohioans like Haynes. Getting the license re-instated can be expensive, but it’s hard to get to work and earn money without a car. Now there may be a way out. For the next six months, a new state law will allow some people to reduce or even eliminate their reinstatement fees. In Ohio, a broad range of offenses can get your license suspended. In 2017, the most recent year that data is available, more than 1 million Ohioans lost their driving privileges. To put that in perspective, Ohio only has about 8 million licensed drivers. The most common offense was driving without insurance. But some infractions that have nothing to do with driving, like dropping out of high school, can lead to a suspension as well. Last year state Rep. Dave Greenspan (R-Westlake) partnered with then-state Rep. John Barnes (D-Cleveland) on a measure offering relief for some of those drivers. In his office, Greenspan points proudly to a picture of them high-fiving as Gov. John Kasich signed the bill into law. He has the pen Kasich used framed on another wall. The law creates a six-month window for people to reduce or waive their license reinstatement fees. Drivers need to have paid off any court costs and the offense can’t involve drugs, alcohol or a deadly weapon. Greenspan estimates the measure will help more than 400,000 Ohioans renew their licenses. “There’s a certain amount of dignity in working, and this provides them the ability to continue employment or gain employment which obviously helps with a whole bunch of other issues,” Greenspan says. The number of insurance-related suspensions also gives Greenspan pause. He notes once a driver’s license is suspended, they can’t get insurance. Greenspan hopes the initiative will encourage people to get covered rather than drive illegally. “So for me it’s not only just as much about quality of life and economic development opportunity, as it is protecting the rest of the insured drivers throughout the state,” he says. Megan O’Dell from the Ohio Poverty Law Center helped out at a license reinstatement clinic late last year. They’re planning another in April. Greenspan characterizes the program as a pilot that can be extended, expanded or restricted if necessary, and he says they limited fee waivers to SNAP recipients because it was an indicator everyone could agree on. Haynes is a SNAP recipient, so amnesty could be right around the corner. She says wiping out that debt could make a huge difference for her family. The Bureau of Motor Vehicles has information about completing an application on its website. The program runs through the end of July. Attorneys with the Dayton firm Advocates for Basic Legal Equality, or ABLE, are suing the Ohio Bureau of Motor Vehicles for what they say is discrimination. A new lawsuit alleges the state agency has unfairly denied United States citizens and legal-immigrant teenagers the right to their driver’s licenses or Ohio Identification cards. The firm filed the class-action suit Tuesday in federal court, asking the court to consider changes to the state's policy covering minor driver's license and state ID applications. Ohioans are now navigating a new process to get their driver licenses. State BMV registrar Don Petit says instead of being handed a new license on the spot, drivers will walk out of a deputy registrar’s office with either their old license or a document – both good for 45 days – while they wait at home for the new license, like one would with a credit or debit card from the bank.